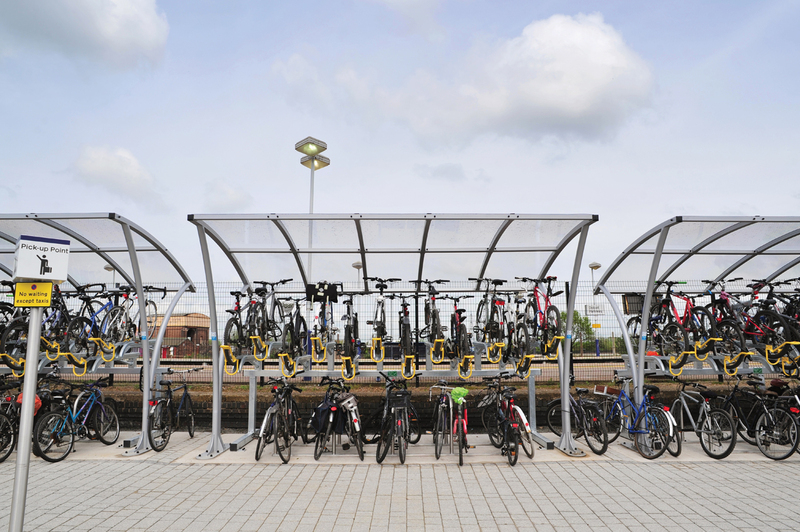 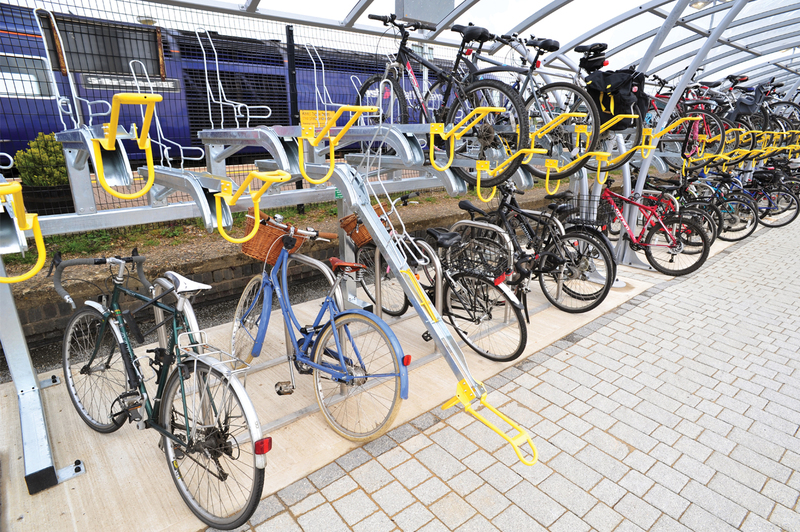 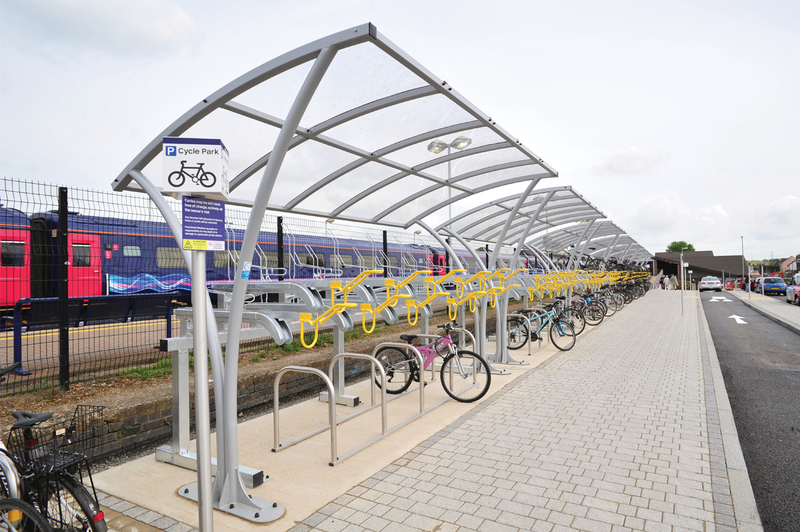 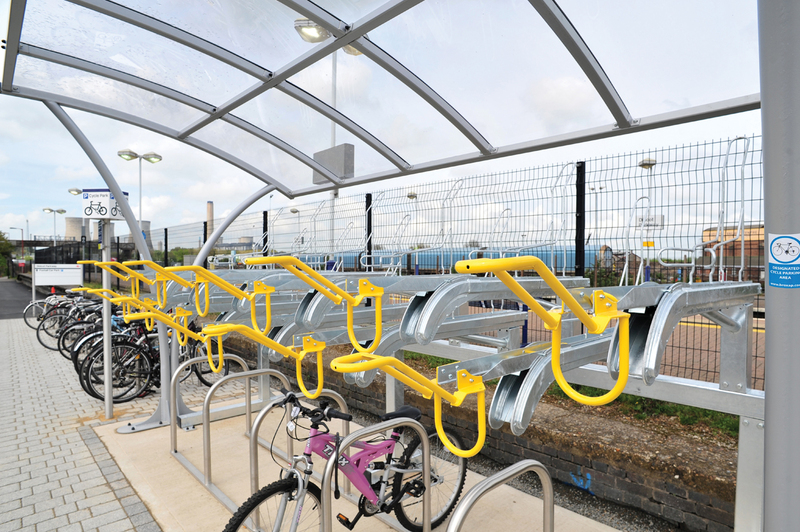 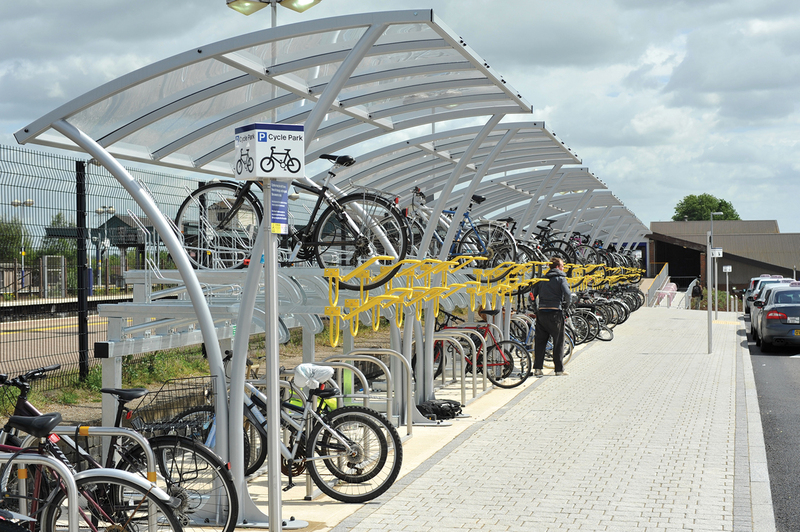 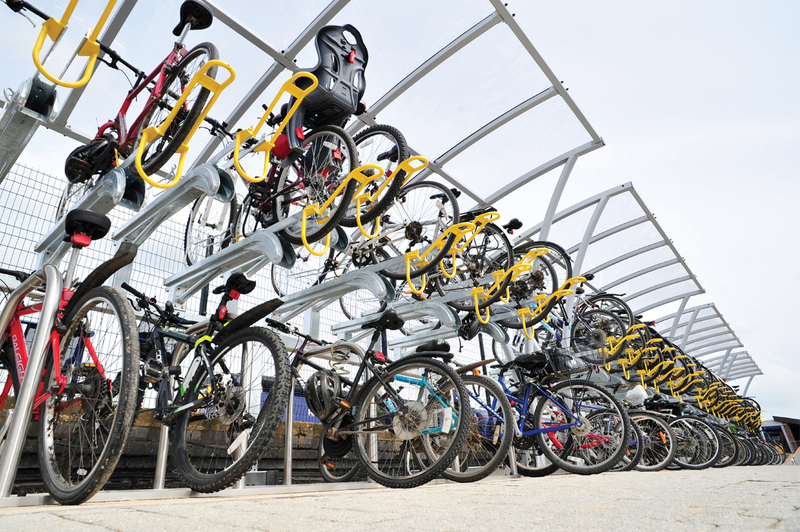 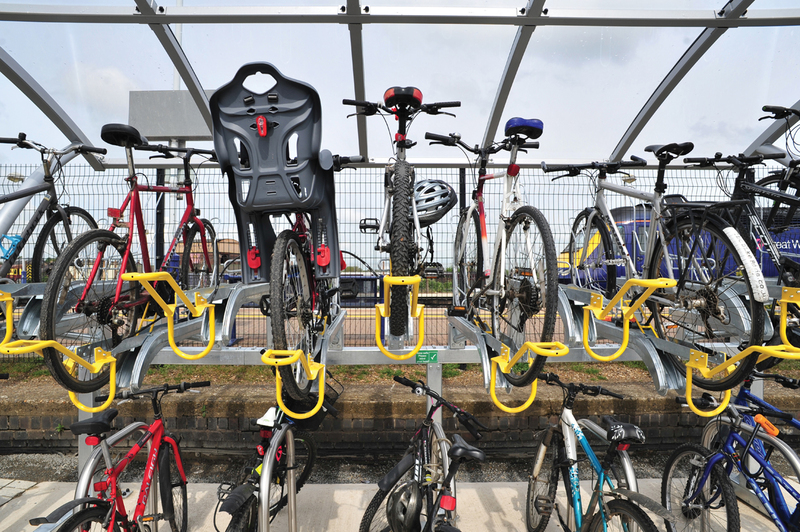 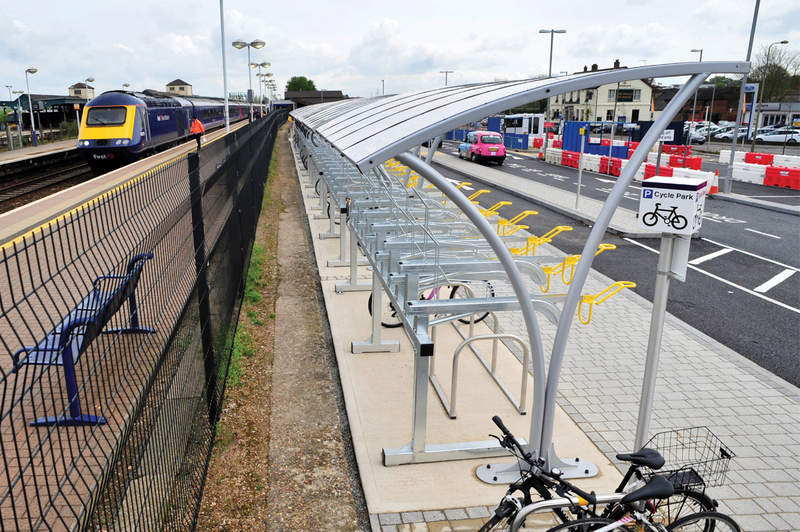 Having worked with Oxfordshire County Council on previous occasions, Broxap was invited to discuss the provision for a new cycle store at Didcot Parking Station, which formed part of forecourt redevelopment at the South Oxfordshire station. 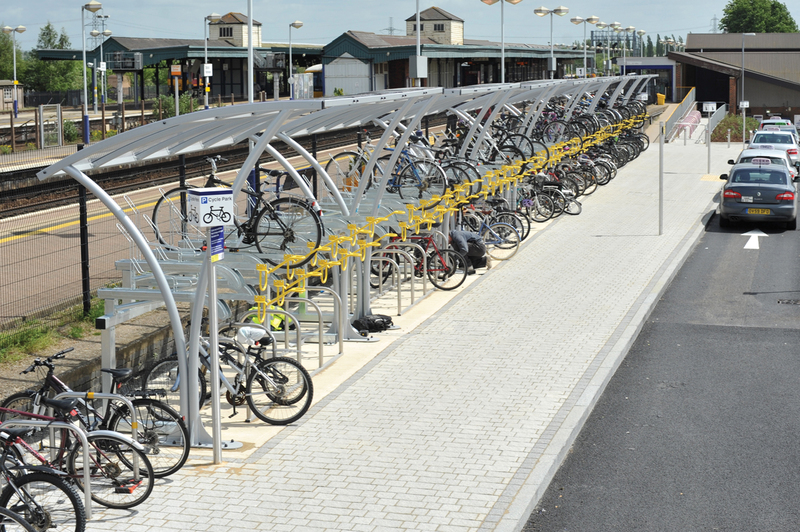 This high profile project was to be the catalyst for further regeneration of the Didcot Gateway. 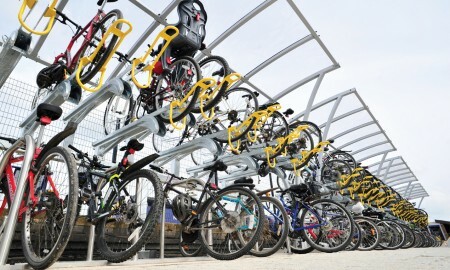 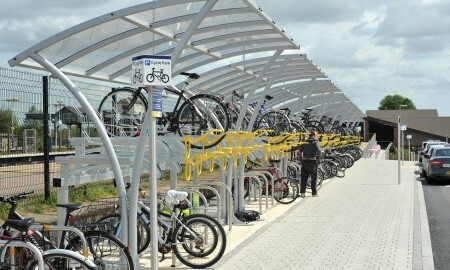 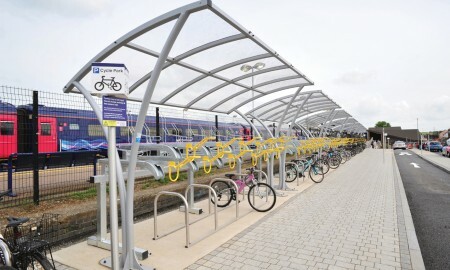 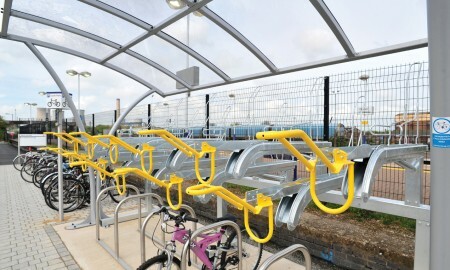 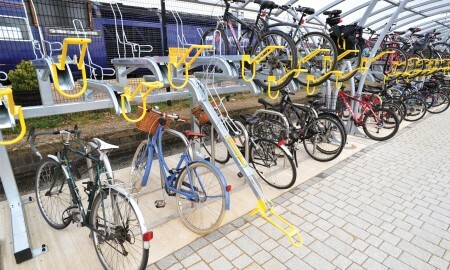 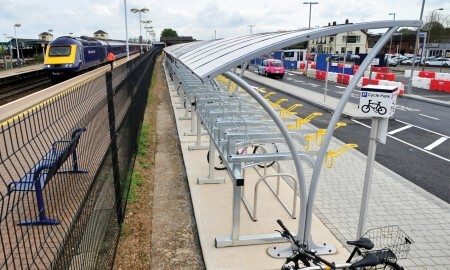 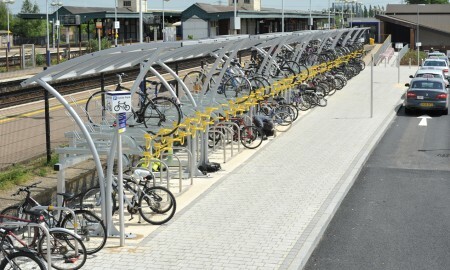 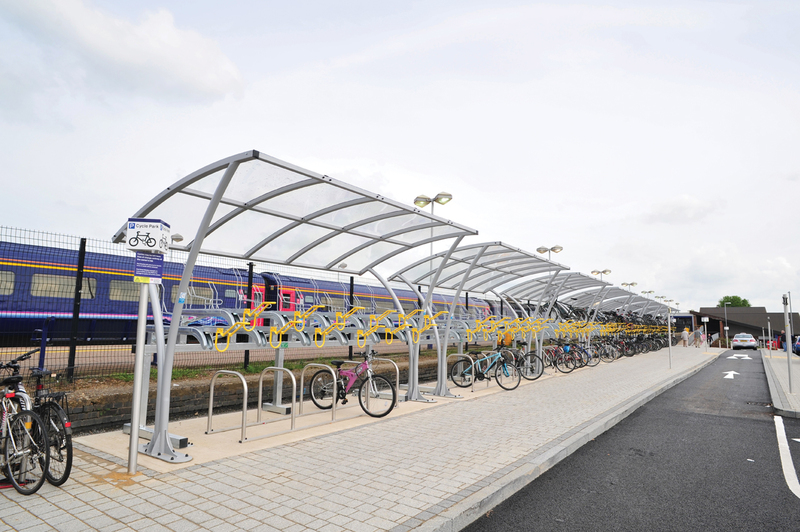 As part of the redevelopment they required covered two tier cycle parking at the station, which was a first in Oxfordshire. 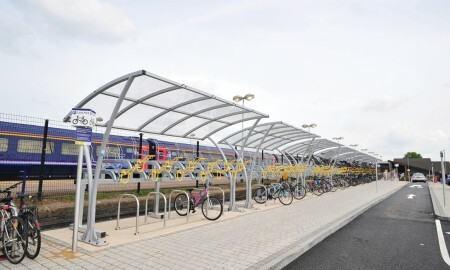 The shelters selected by the Council were Broxap’s Apollo design as they had been used already on many previous schemes throughout Oxfordshire. Our new two tier cycle parking rack the “Hi-Rise” was also proposed for use within these shelters. 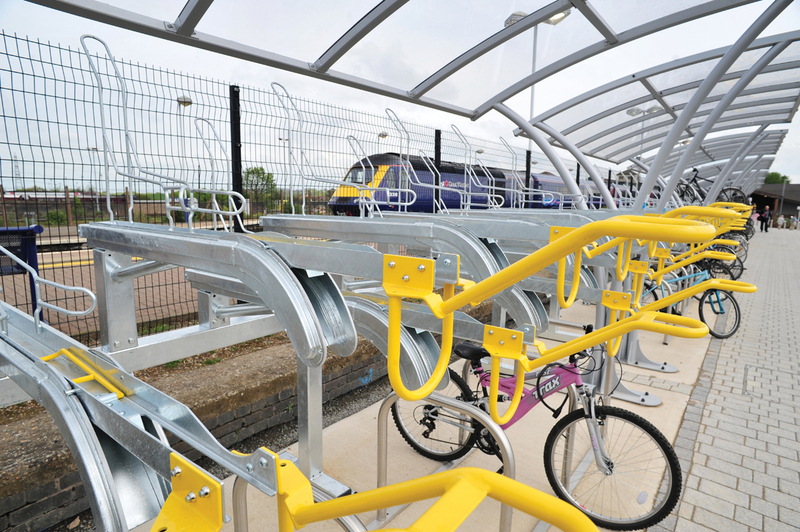 As the Hi-Rise’s had also been used also on London Midland lines, the commercials and simplicity of the two tier storage rack appealed to the Council and Broxap was awarded the contract directly to work alongside Birse Civils on the completion of the station redevelopment. 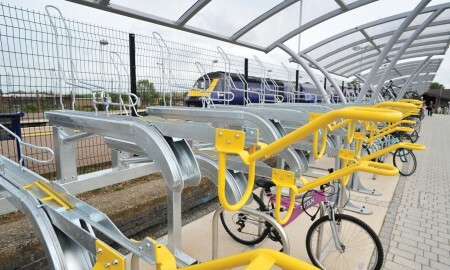 The project was delivered in challenging possessions within a limited time frame for opening to the public. 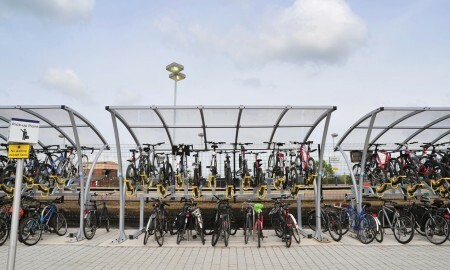 Broxap successfully delivered the project within all parameters and the new two-tier cycle parking facilities have proved an immediate success with cyclists.